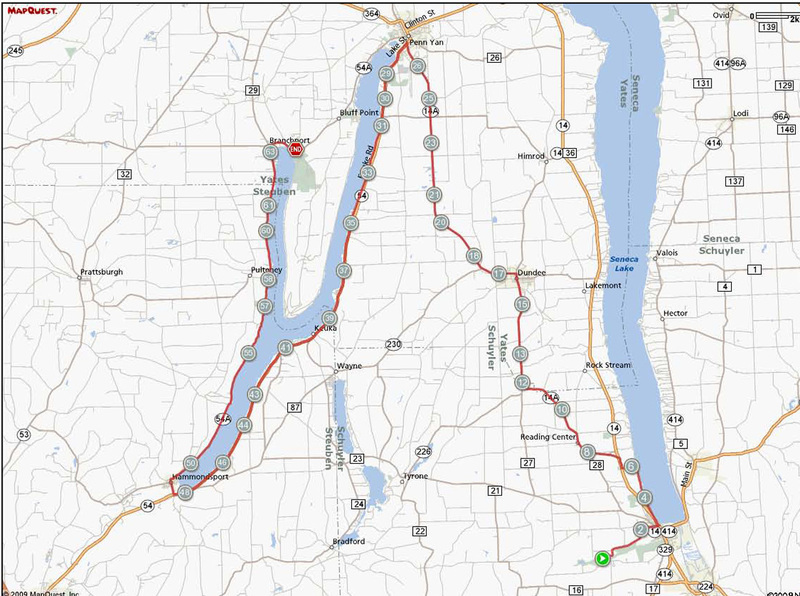 Start: Arrive at Cayuga Lake State Park near Seneca Falls, where you will camp for the night. 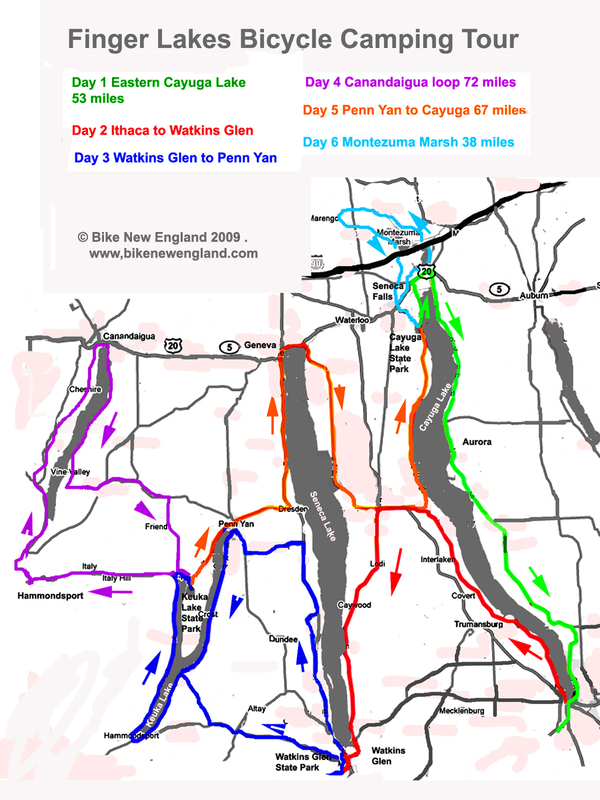 Start at Fillmore Glen State Park south of Owasco Lake in Moravia. 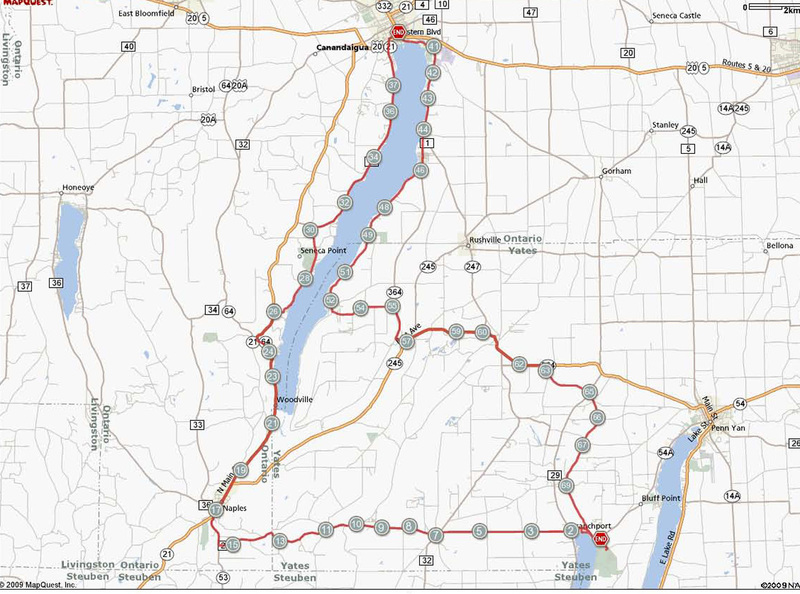 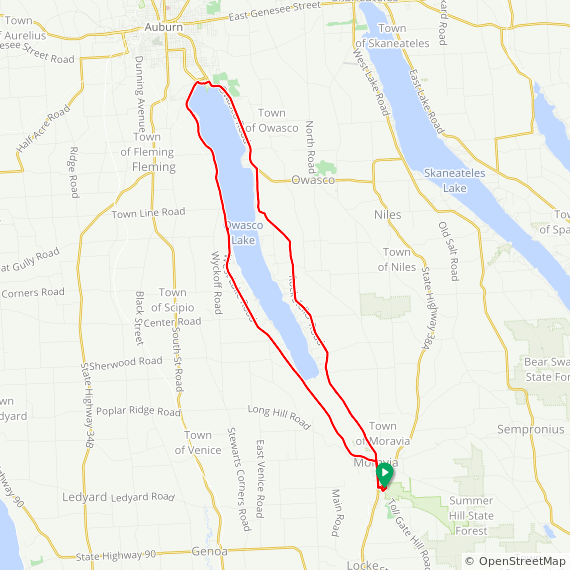 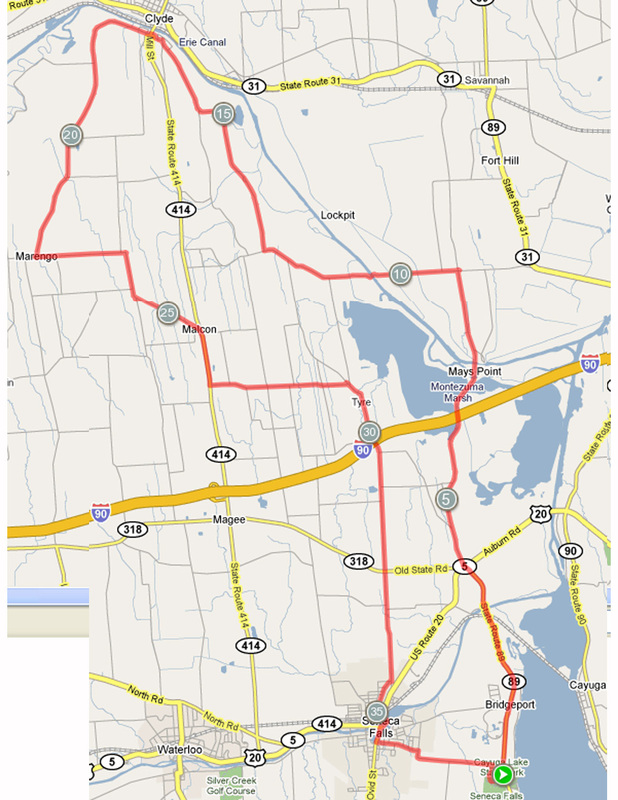 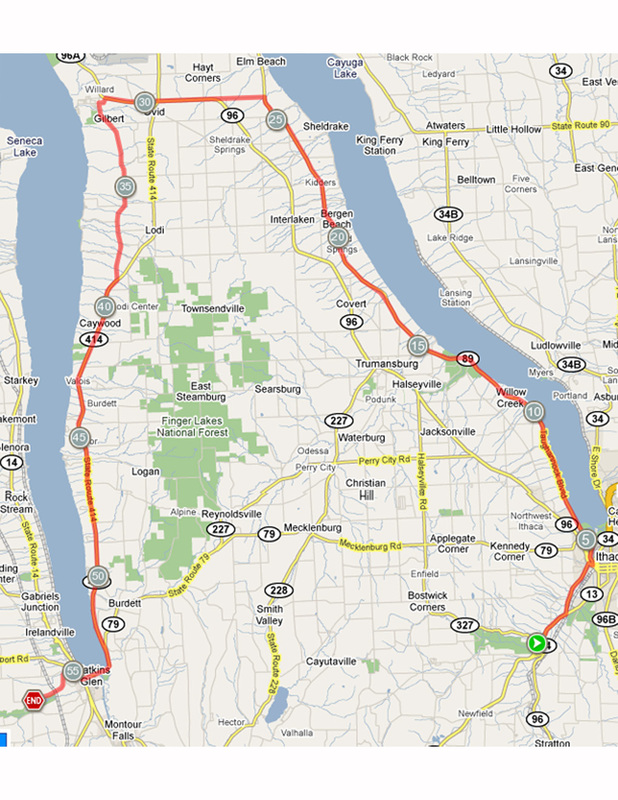 A 20-mile ride from Moravia along the lake on Rockefeller Rd, returning on West Lake Rd. 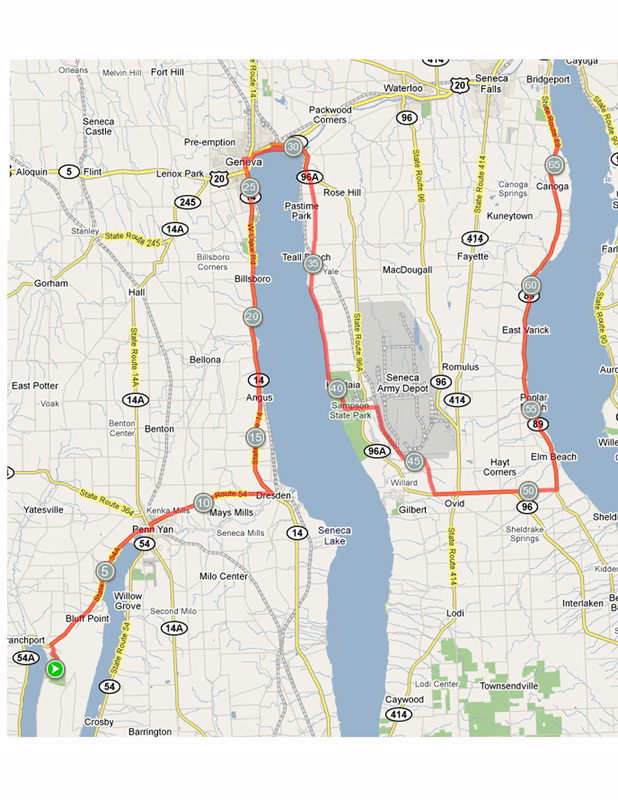 makes a splendid victory lap for your vacation before heading home.